Check out the Festival website. for updates on the latest (5th!) fabulous Festival, help 19 – 22 October. Watch put for the next Festival date to be announced soon. 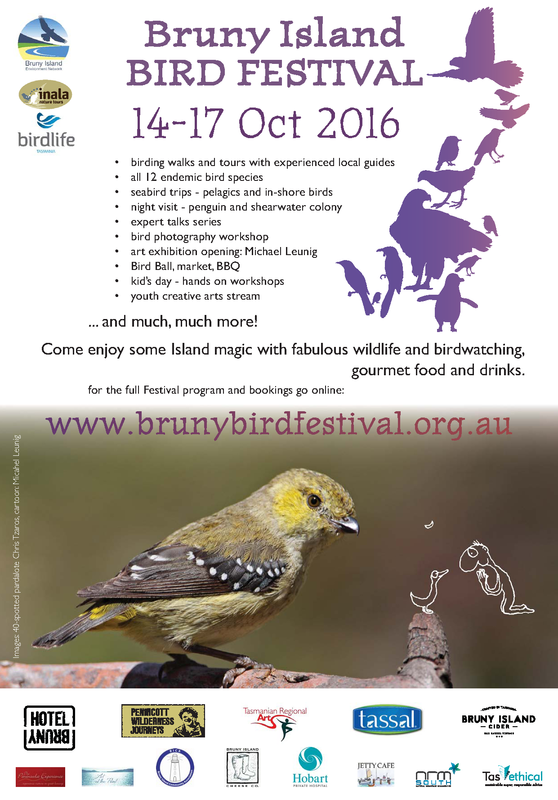 The Bruny Island Bird Festival was first held in 2010 as a community celebration of the wonderful array of birdlife on the island. The four day festival is jointly presented by the Bruny Island Environment Network, BirdLife Tasmania and Inala Nature Tours and draws on the wealth of knowledge and experience of experts in these groups to provide both an engaging and educative immersion in the natural delights of Bruny Island. Held every two years the voluntary run festival has become a much anticipated event by the community and visitors alike. Each festival brings new features as well as the long term favourites. Special Guest at the 2016 festival Michael Leunig opened the art exhibit with beautiful words. The 2016 festival brought an increased focus on activities for families and youth so there really was something for everyone. 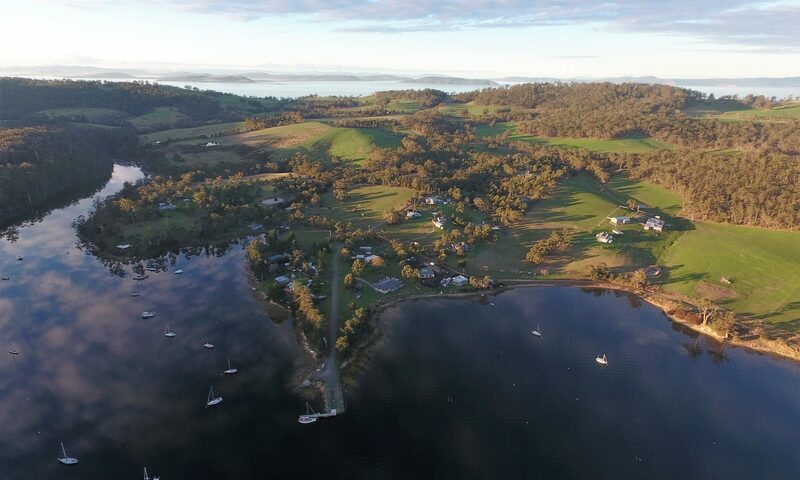 Fundamental to the success of the past festivals has been the professionalism and expertise brought to the team by Dr Tonia Cochran of Inala, Dr Eric Woehler of Birdlife Tas and the tireless work of Marg Graham and Bob Graham of BIEN. As with so many such events the huge standout contributors is the band of tireless volunteers who give of their time, labour and brain power. Our grateful thanks to each and every one of you!